At Locksmith Pro, we offer comprehensive locksmith services. Unlike many other locksmith services, though, we have multiple goals in mind. While one of the most important is to provide you with rapid and trustworthy service that gives you a fast solution to any number of common issues, we also wish to create long-lasting relationships with each of our clients. We do this by offering a diversity of locksmith services, but also by the quality of our work and our dedication to client satisfaction. It is easy enough to offer many useful services, but because our work focuses on locks and keys, it is of the utmost importance that our customers feel safe and satisfied with our job performance. Let’s look first at the many ways we can help, and then discuss our dedication to quality results. Our goal is to ensure that you get speedy, courteous and friendly locksmith services, and that you have the confidence in us to get in touch whenever you need help, answers or support. We aim to develop a working relationship with every customer and we fully understand how challenging it can be to find quality locksmith services, whether in a rush or even ahead of time. No one wants to be locked out in the middle of the night or find themselves unable to re-enter their home or car because of an unexpected problem with locks or keys. This is why we offer 24-hour locksmith services. Locks and keys are what keep us safe, and yet it can feel a bit odd to deal with someone unprofessional, indifferent or poorly trained when you need help with any sort of lock or key issue. Unfortunately, we've heard many clients relate their disappointment with other providers. This is one of the main reasons that our entire team is dedicated to instilling the utmost confidence in our customers, leaving everyone feeling safe, satisfied and secure. We all want the best in security, and yet we are all also pretty vulnerable to issues like forgotten keys, broken keys and other similar problems. This is one of the biggest reasons to develop a working relationship with trustworthy locksmith services. Yet, you only need to use Google to see that people everywhere are concerned with untrustworthy providers or misleading ads, particularly where emergency locksmith services are concerned. This is why Locksmith Pro works hard to develop ongoing relationships with all customers. We begin that process by simply offering a full menu of traditional as well as emergency locksmith services. This way, you know you have a reputable provider whether it is a fairly common problem, or a middle of the night, stuck in the middle of nowhere "how am I going to get out of this one" sort of issue. After all, we totally understand that our clients don’t always need our locksmith skills when it is most convenient. That broken key in the car door or even the house door doesn’t always happen at a typical time of day. It can happen in the middle of the night, or the middle of nowhere. The same goes for the keys you might have lost, locked inside, or worse. This is why we are also a mobile locksmith with every possible service solution. As some of the most trustworthy providers of locksmith services, we know that we have the answers needed, no matter the time of day or the issue that our customers face. Let’s take a look at some of the most in-demand of our many services. While you might think that this amounts to issues like helping customers who are in the middle of a house lockout, our services extend beyond opening locked doors. We can help you get back inside your home, at any time of the day or night thanks to our 24-hour locksmith services, but we can do even more. Let’s say you just bought a property or had a tenant move. This might mean that a house lock and rekey is a good idea. We are able to come to you and quickly update the locks. While we can install new hardware and make keys for your entire household, we can also help you cut costs with a fast and simple rekeying of the locks. Sadly, one reason we may get a call for our residential locksmith services is in the event of a house burglary. We understand how vulnerable and violated homeowners feel once someone has entered their home illegally. 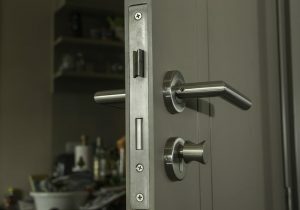 We can make many suggestions about the right way to secure your home after such an incident and supply you with the kinds of locks and measures you need to once again feel safe each night, as well as each day when you leave. If you have never once experienced the pulse racing panic that strikes the moment you release a door and realize the keys are inside, count yourself lucky. We have received countless, panicked calls from clients who lost track of things for that one key moment, and found themselves peering in the car or truck window while the keys sit dangling within reach inside. If you just program our emergency locksmith services number into your phone (and remember to take it out of the car before locking it! 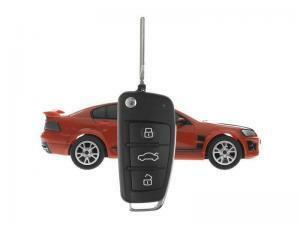 ), you need only make the call and we’ll be on our way to provide a car lockout service. Naturally, a lockout doesn’t always happen because you’ve locked the keys inside. We have had clients call because a standard key just snapped off in the lock or the ignition. This too can make you feel a bit panicked, but we can easily handle such a situation as part of our automotive locksmith services. We can also offer new lock installation and cut keys to ensure you have plenty of spares around and hidden somewhere out of sight! Knowing that you have ready access to skilled locksmith services is always something that brings peace of mind. Knowing it is a provider who you can trust to take the call and save the day (or night) is even more significant. While there are less scrupulous providers who offer their 24-hour locksmith services at exorbitant prices, our goal is to build an ongoing relationship. You can be sure that we offer fair pricing and dependability when it matters most. While we are more than happy to provide you with a wide array of traditional, residential locksmith services, we can bring our skills to you anywhere throughout the region. While our mobile locksmith services can cover your household, garage or workshop needs, we can also bring our tools and skills to any other location too. Whether you lost the keys to a storage unit’s padlock, bought a vehicle or item that requires a rekey or just about any other locksmith services imaginable, our mobile options have you covered. 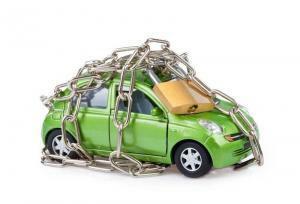 Of course, our locksmith services are not always about emergencies or crises. We can also be part of the team that helps you settle into a new home or secure a new car. After all, we can rekey locks of almost any kind, too. This can be a huge cost cutter when moving into a new home or updating an old one. Why replace an entire set of functional locks when all you have to do is have us rekey the locks. 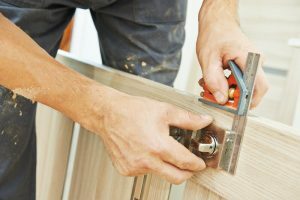 We won’t have to change out the lock hardware, and can usually provide you with the ease of a single key for all of the doors in a home or property. While we are a reliable provider of locksmith services to residential and automotive customers, we also offer a nice array of commercial services too. Though it might seem that there is very little difference between residential locksmith needs and those of a commercial setting, the truth is that there are substantial differences. Just consider that we can offer a commercial facility such locksmith services as opening or repairing safes and some vaults, higher security lock sets, locking or unlocking file cabinets, panic bars and peephole installation, among other services. We can also provide support with commercial vehicle issues, too. Though you may be a business owner or commercial property owner, it is unlikely that you have a full time, lock expert on your staff. Even if you have a grounds person or maintenance expert, none of them will have the knowledge, equipment or skill to supply all of your key and lock needs. We also understand that many commercial property owners live under the pressures of time, and it is why we are able to offer 24-hour services for commercial as well as residential and automotive needs. Apart from commercial services, residential options and automotive needs, we are glad to offer such skilled services as consultations, master key systems, combination lock services, and services on more unusual projects such as drop boxes and other lesser known or less common issues. We are glad to bring our workshop, and skills, to you via our mobile locksmith services, too. And of course, we are always available, seven days a week and 24 hours per day. It is easy enough to remain open during regular business hours. After all, most businesses operate on a 9-5 schedule. However, we respect the needs of our clients and understand that they are likely to require our services during times well outside of that more traditional window. It is why we offer 24-hour locksmith services and mobile locksmith services. This is just part of our dedication to optimal customer service and quality results. We understand that we are providing you with specialized services but we want you to know that you are more than a single service call or emergency car lockout service call. We see every customer as a life-long client. There are just too many ways that locksmiths are needed, and we want to become your “go to” provider. Whenever you need assistance or support of any kind, relating to locks and keys, you can call us and get in touch right away. Our skilled team is able to help you with whatever you need, whether automotive, residential, commercial or even a host of miscellaneous locksmith tasks. Our goals include ensuring that you feel secure and satisfied. We aim at becoming your one-stop destination for all things relating to locksmith services. Whether it is an emergency locksmith call, a car lockout issue, the need for someone to install a deadbolt, or for someone to rekey the locks in your home, we have the skills and services you require. Your sense of security is a major priority, and we offer round the clock, 24-hour locksmith service to deliver only the best services as fast and as effectively as possible. Don’t hesitate to call Locksmith Pro at any time and for any locksmith needs.